A Full Service Real Estate Company Helping Oklahoma City Metro Residents Own Their Own Home With Owner Financing. Learn how we can help you become a home owner here in Oklahoma City Metro even if you can’t buy a home the “traditional” way. We’re here to give those with BAD or NO credit hope and the privilege of home ownership. We’re the best source for Oklahoma City folks to find great Owner Finance Homes in the Oklahoma City Metro that’s available .We’re constantly picking up new properties and we always have properties available. 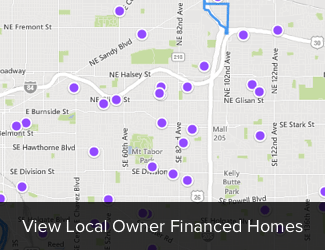 To get our full list of owner financed properties just click here. Here at OwnerFinanceOKC.com our focus is simple. Find and purchase great houses in and around Oklahoma City Metro and offer them to people in the Oklahoma City Metro without bank financing to help more people become home owners when otherwise they couldn’t. In this crazy economy, we help stabilize neighborhoods all around the Oklahoma City Metro by matching up properties with the people who will care for them as their own – even those who don’t necessarily qualify for a loan from banks. That’s why we took action, and started OwnerFinanceOKC.com. We help ensure that homes around the Oklahoma City Metro stay occupied – with people who will care for their community.